"The car was originally a Swift SE3 Formula Continental. 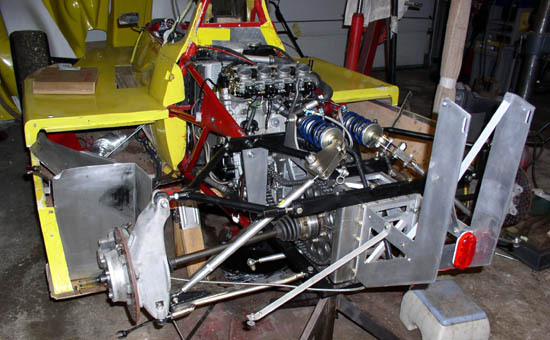 I cut the frame off behind the roll bar and widened the engine bay slightly to fit the Suzuki engine. From the roll bar forward the car is all original Swift. 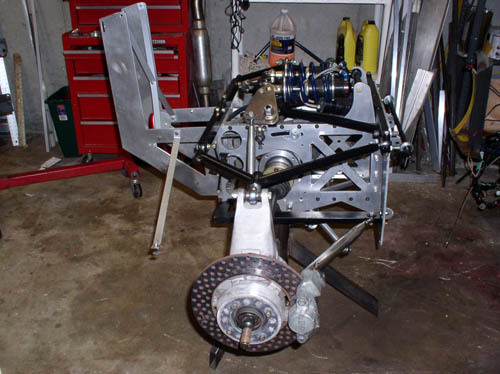 The rear section of the car is held in place with 4 bolts, uses the original Swift geometry but converted from rocker arm to push rod. 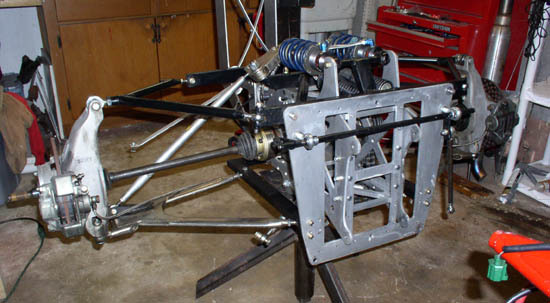 The body is a modified Brian Little body [used on his Ralt] and is not quite finished. 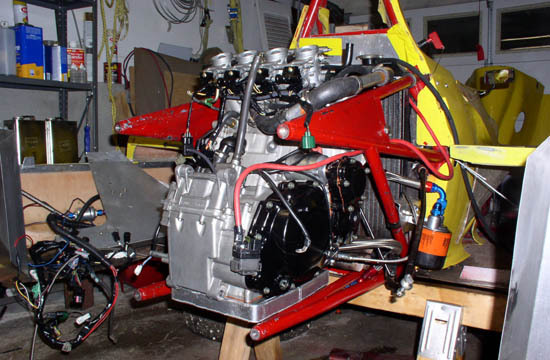 The body was widened about 5 inches and the original Swift body panels were blended in the center. The car retains the original center mounted Swift radiator - water cooling is fine but oil cooling has been a huge issue. Like a lot of people that go down this road I just ran out of energy so the body is not quite finished - I was at a point where I just wanted to go racing. Right now the car is at 1080lbs with a 180lb driver. 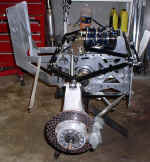 Over the winter the car will lose about 60lbs with some changes and finished bodywork. I ran the car a couple times last year but chased an electrical problem that I could never find. This year the car has 1 DNF, 2 seconds (which were only the result of mechanical issues) and 2 firsts. The last 2 times out I have finally gotten some things figured out and the car has set 2 new track records by several seconds and is still a couple seconds off of where it will be next year."